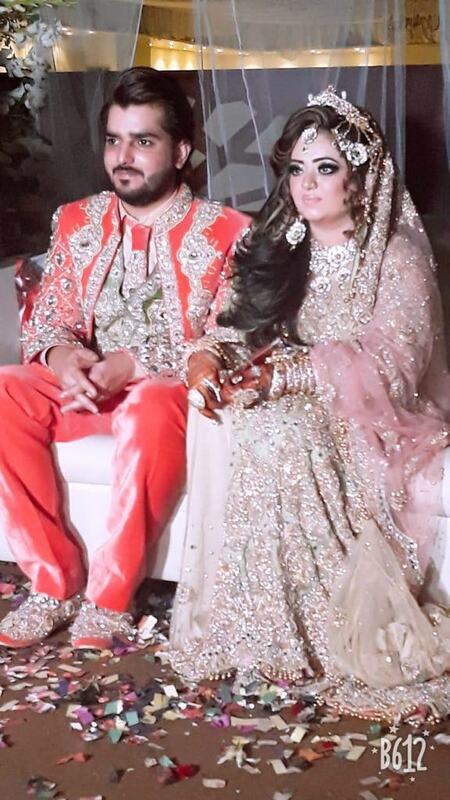 After the Ambani wedding may have rocked India, Pakistanis are not behind in the race, Pakistan is wowed by the wedding of the son of the owner of Javed Nihari, one of the most popular food places in Karachi. 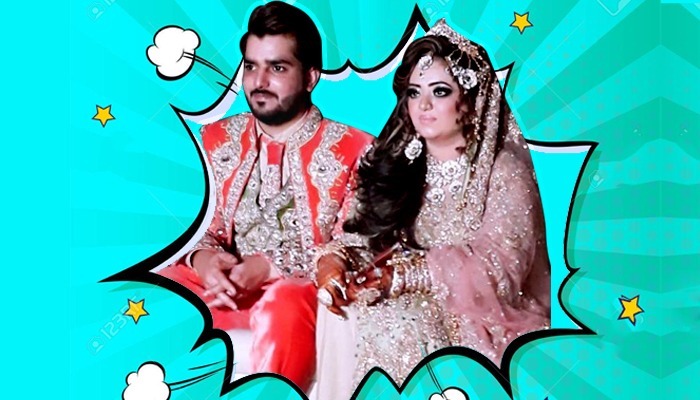 Javed Nihari owner’s son has become an Internet sensation. Moreover, it’s all thanks to his wedding. Karachi’s Javed Nihari is a local favourite and wildly popular dining out spot. Its world famous Nihari has everyone coming back for more. 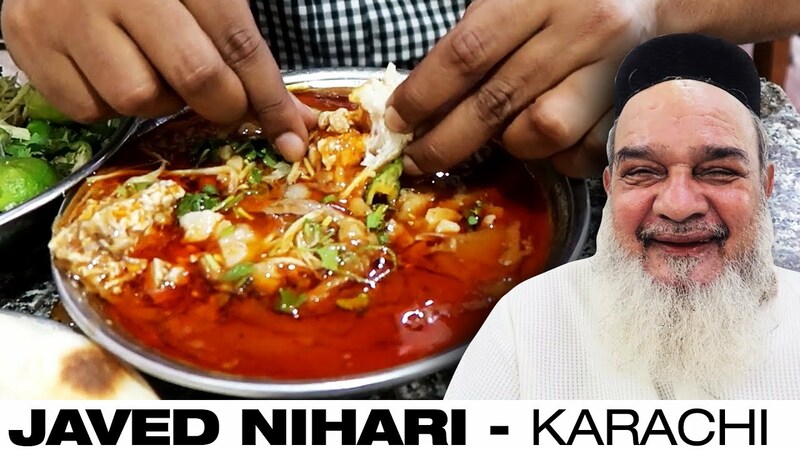 Karachi’s Javed Nihari is so renowned that every Pakistani in any country of the world knows this place and the taste of its Nihari. Even if you haven’t tried it, chances are you know of this place. On his Mayun, Attari donned a silver dhoti-shalwar combined with a heavily embroidered jacket. Relatives flanked him in equally eye-catching ensembles. 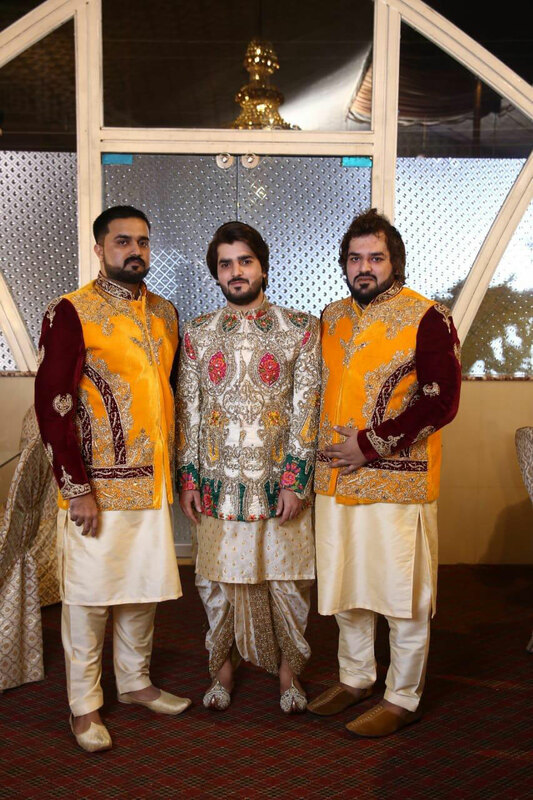 On the wedding day, he wore a traditional royal rich Maroon-velvet sleeked Sherwani embroidered with golden stones with matching Khussa. Members of his family were decked out in matching outfits with matching gold tiaras for the event. 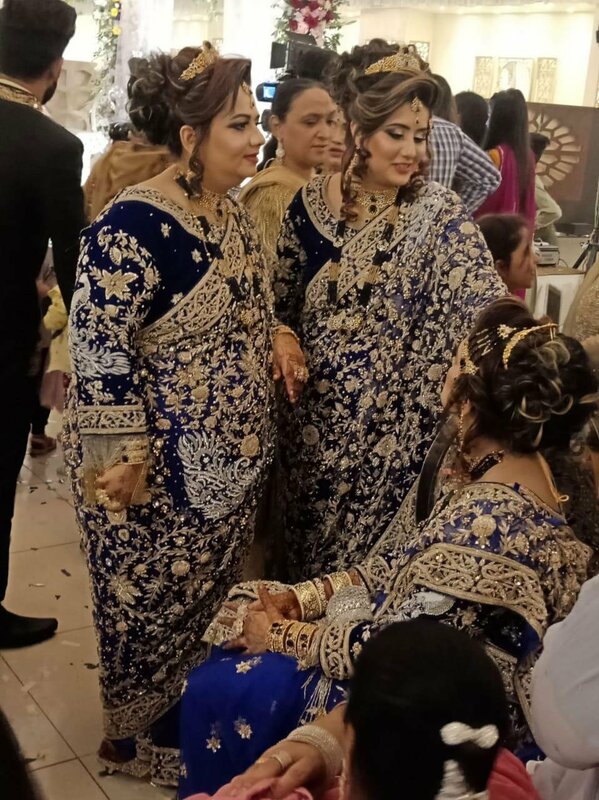 Their heavily embroidered blue saris were as eye-catching as the bride and groom’s outfits. 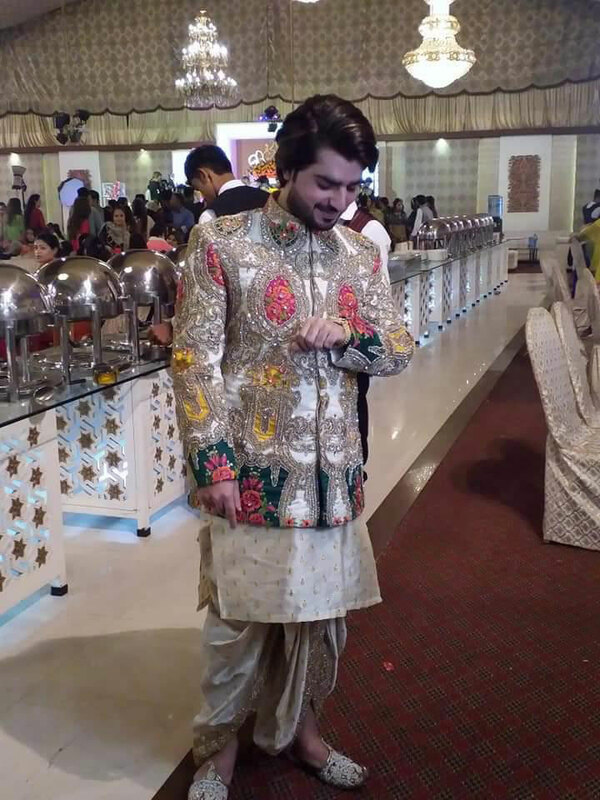 The groom wore a peach and green three-piece velvet suit for his Valima. 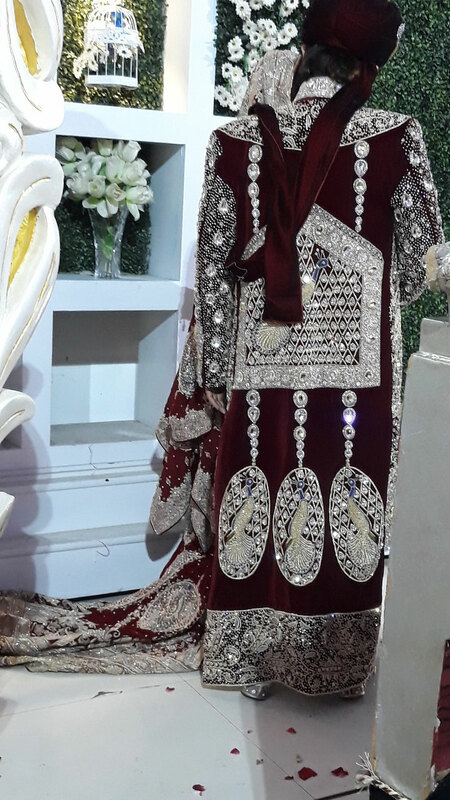 The heavily embroidered outfit was completed by a pair of equally binged out shoes. 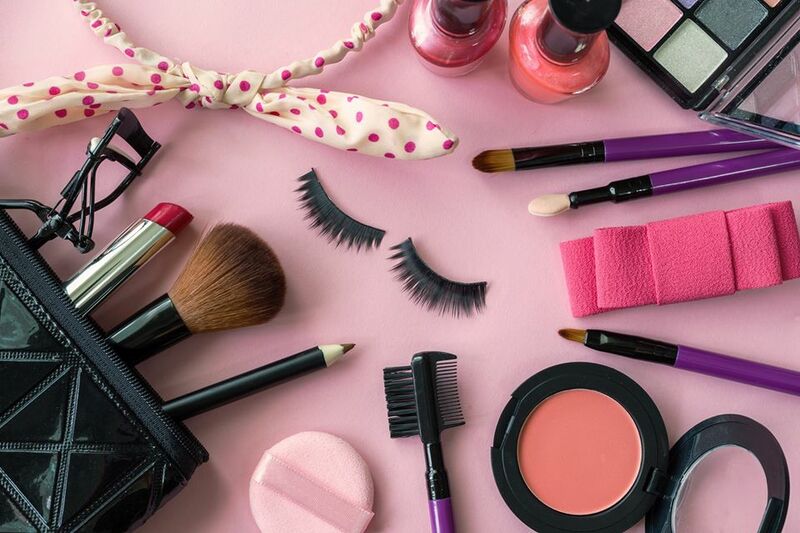 The wedding was extremely lavish, but it wasn’t half as detailed as the bridal room. Pictures and videos of the events took social media by storm, and some people didn’t entirely agree with the fashion choices, while others defended his right to wear what he wants. However, no matter what your stance is on the wedding, we can all agree that the food served was probably amazing. 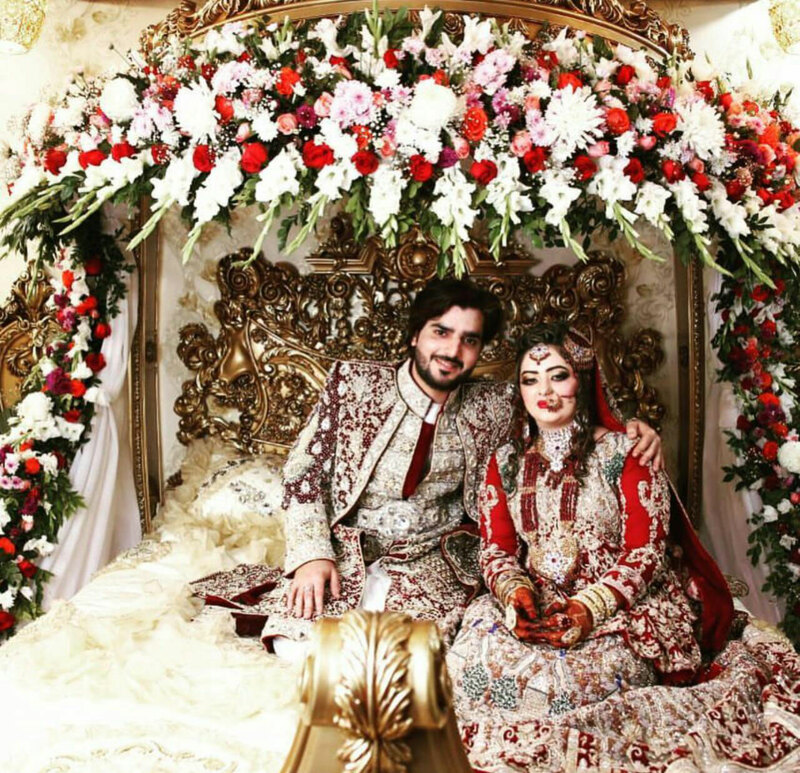 Best wishes to the couple for their new chapter in life!